Russia OpenVZ VPS with 200Mbps Unlimited Bandwidth. Affordable way to meet Industry standards. Germany KVM VPS Sale Powered by KVM, 100Mbps lightening fast network and 24/7/365 Support. Netherlands KVM VPS Sale Powered by KVM, 1Gbps lightening fast network and 24/7/365 Support. 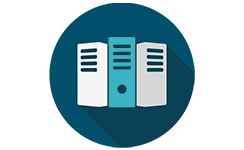 All VPS hosting services are Tailored Instantly with Full Administration Access. Netherlands KVM Windows VPS service is a way to provide you a step more towards your business success. KVM Windows VPS Built on Latest Intel Dual CPU Quadcore Servers with Hyperthreading Technology, providing easy scalable VPS plans, guaranteed uptime and Pure SSD’s yielding 20x faster performance. Netherlands KVM Windows VPS – An ultimate hosting solution for metatrader 4 and Forex MT4, latest ASP .NET, MY SQL DB’s and more. Maximize your business growth with suitable platform and secured environment. Get your KVM Windows VPS setup instantly along with 24/7 Web Hosting support. Netherlands KVM Windows VPS Plans with High-Quality Hosting Addons! Test IP : 103.136.40.37 | Datacenter : EvoSwitch Amsterdam. Extra 1 vCPU Cores............ € 5.00 /mo. Extra 1 IPv4 Address............ € 3.00 /mo. Extra 10GB SSD Space............ € 3.00 /mo. Extra 1GB RAM Memory............ € 5.00 /mo. Plesk Onyx Panel(10 Sites) € 4.99 /mo. Plesk Onyx Panel(30 Sites) € 7.99 /mo. Plesk Onyx Panel(Unlimited Sites) € 12.99 /mo. Self-Managed KVM Windows VPS Hosting with High-Quality Hosting Features! Provision for hassle-free upgrades of your hosting plans putting no stop to your success. Get a powerful SolusVM control panel to monitor and control every aspect of your VPS. Not satisfied with our Web hosting service? Know about our 30-days moneyback guarantee policy. Get SSD VPS built with Solid State Drives(SSDs) for better performance outcome. Free DDOS Protection against the online attacks and vulnerabilities to secure your data. Keep your websites run unceasingly with 1Gbps High Volume Network connectivity. SSD powered VPS are located in the top-rated and advanced datacenter facilitating your work with premium bandwidth, guranateed uptime and reliability. We operate with best-in-class datacenters to provide you the top-quality hosting services with unmetered bandwidth, high availability and reliability. Notable provision only by VPS9.NET to market your own VPS without the inclusion of VPS9 brand. 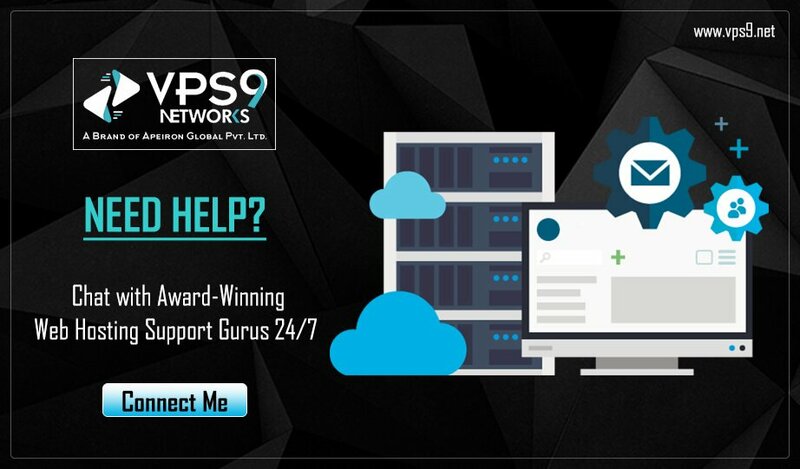 Get Semi-Managed Support by our web hosting geeks to provide you a trouble-free experience with VPS hosting. With Full Administration Access and User-Friendly Environment, be able to customize any software without any complexities. Reviews and Observations of Prime Web Hosting Services! I am using vps9 services from years. Due to the extra effort they put felt to tell them how I feel about the company. They always manage to maintain 99.98% uptime. This is my first hosting provider. When I thought to launch my website live, I read their blog and they had explained it very nicely. I would like to thank these guys for maintaining amazing uptime. My website loads super fast. I love my webhost vps9 networks. I should appreciate the vps9 team. The plans are available at very affordable prices and their support executive ROSY is amazing. Keep up the good work guys. My previous hosting provider Hostgator did not provide my control panel with the VPS hosting. They charge me an additional price. I am with VPS9.NET from beginning of my Business. I am pleased with Fastest Network Speed and uptime guarantee. All my applications work faster than before. After struggling so much with my old host, I got really affordable VPS hosting package with some exciting Hosting deals at VPS9.NET, suitable for all my needs. My Backup servers is an important factor in my organization. VPS9.NET always updates me with flexible and easy upgrade options at very low costs. Signing up with VPS9.NET was my best decision. Got Enough resources with VPS hosting plan based on Latest hardware technology. With VPS9.NET From past 4 years. I had no knowledge about web hosting activities and had not much time to learn. Their Managed VPS plan works well for me with great management support.